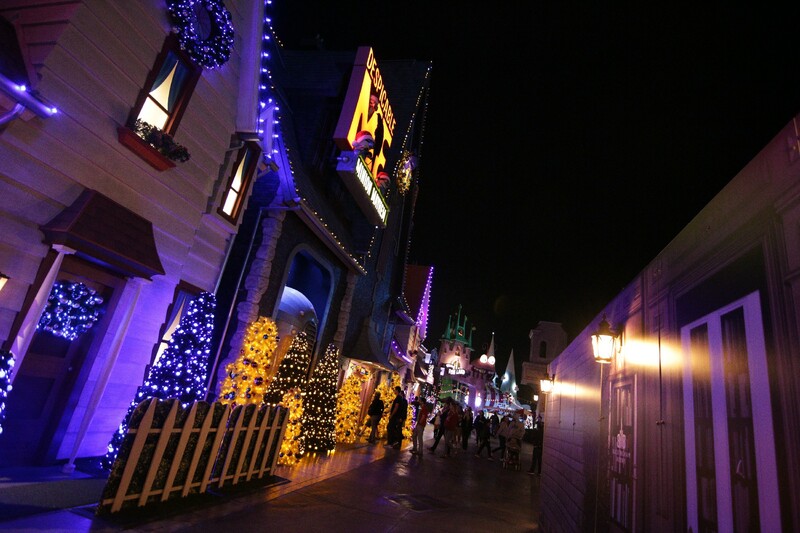 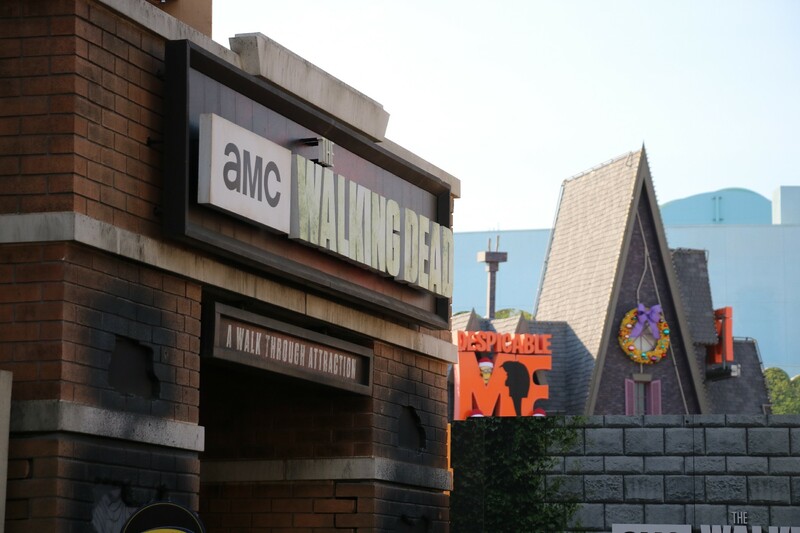 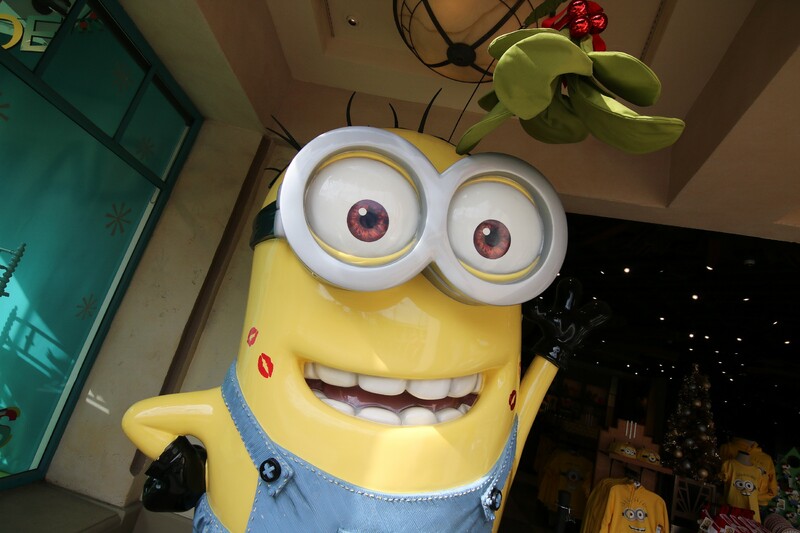 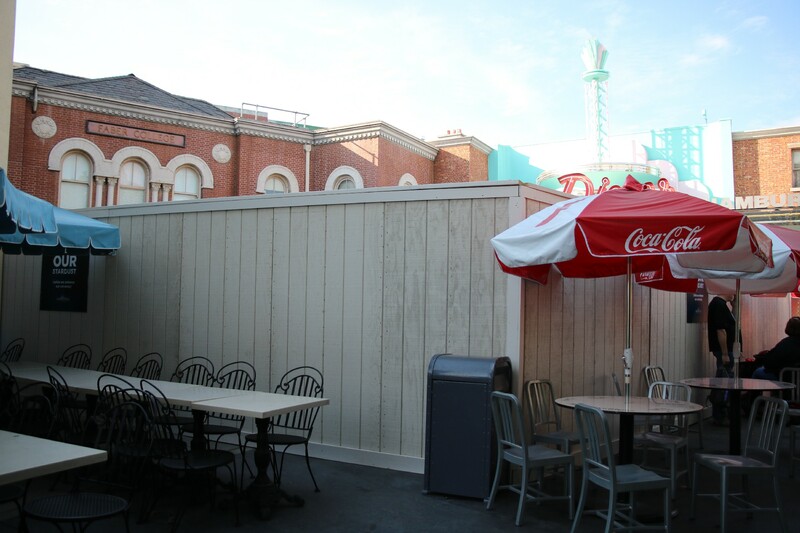 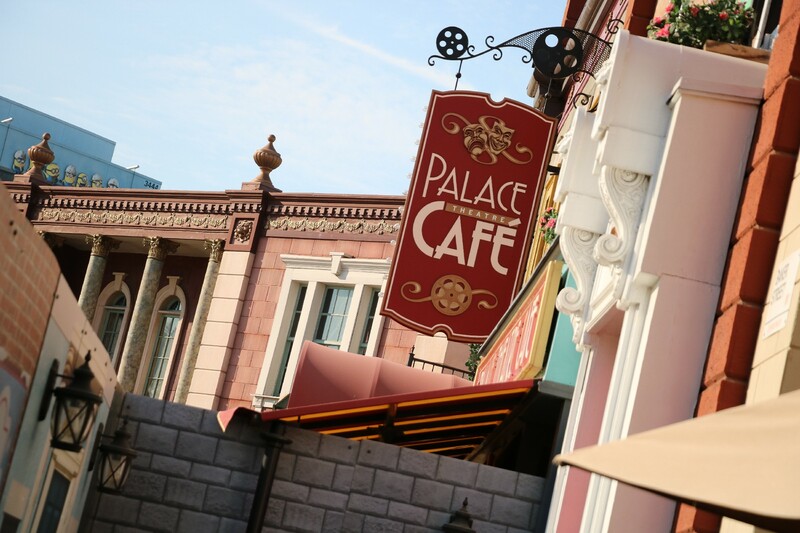 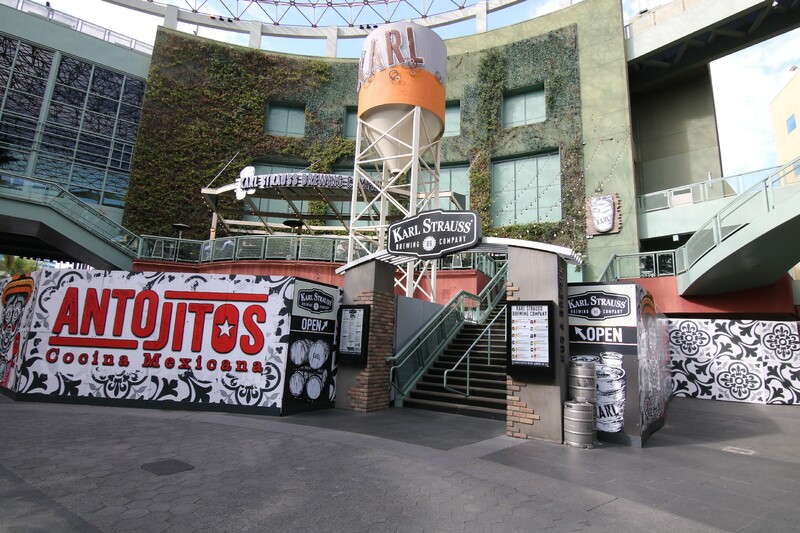 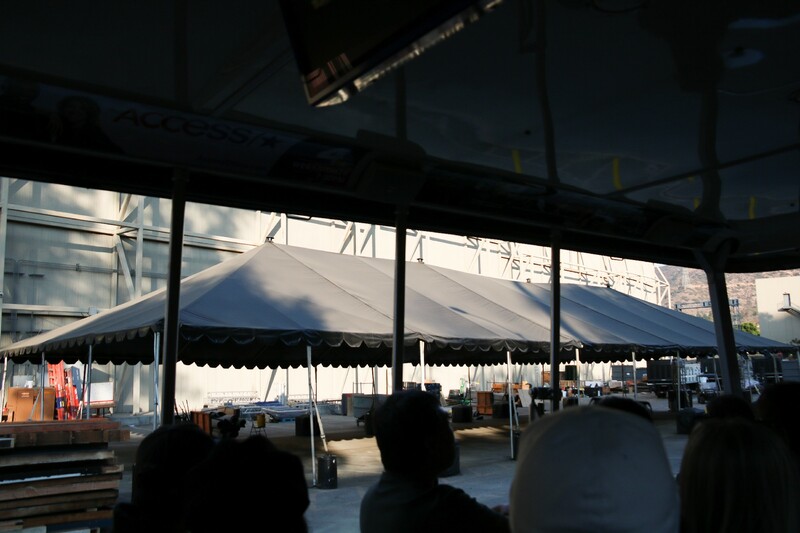 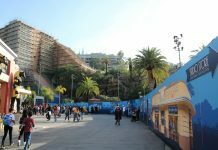 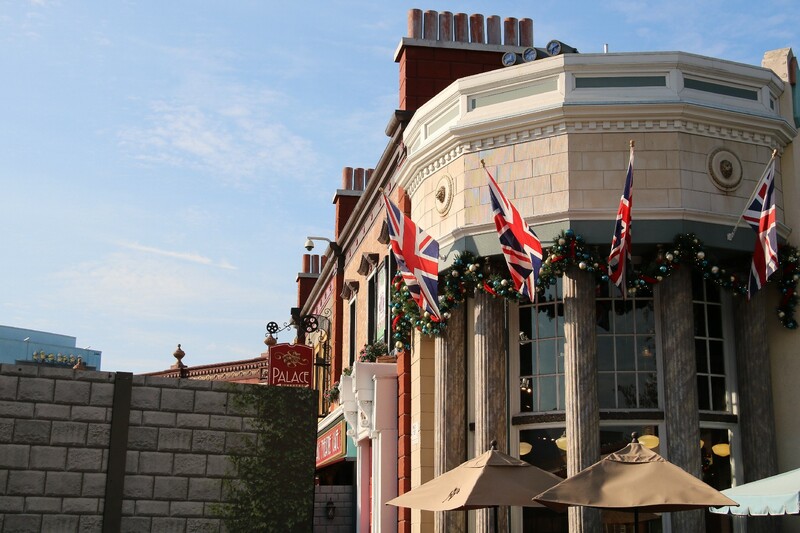 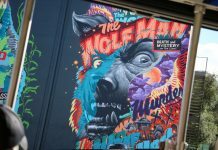 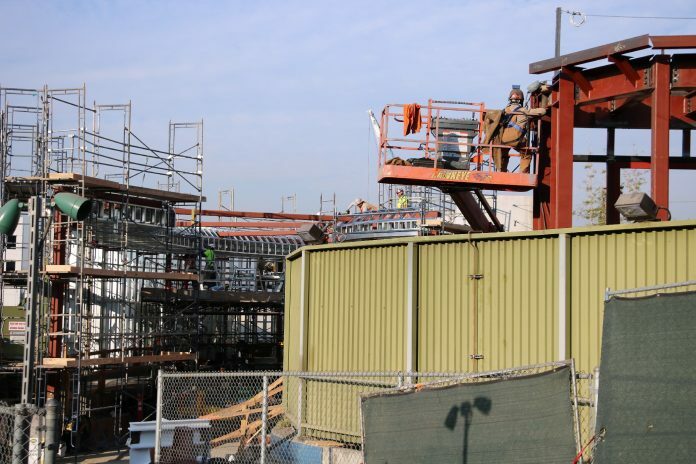 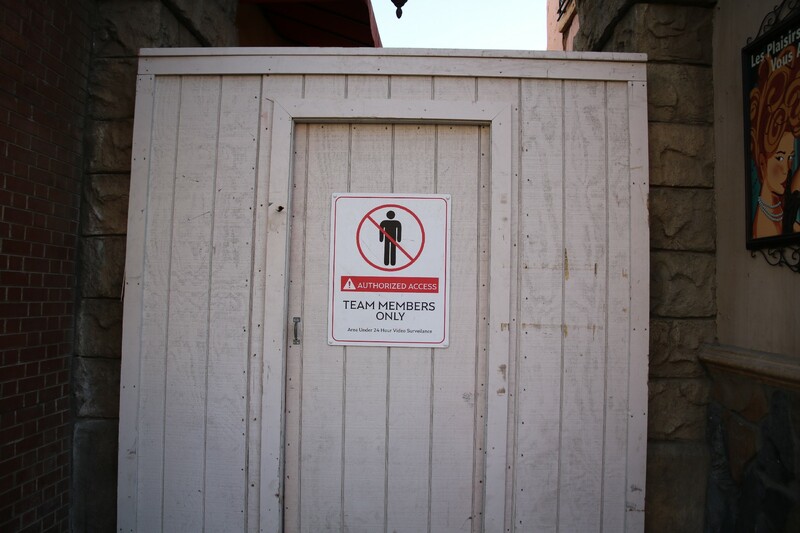 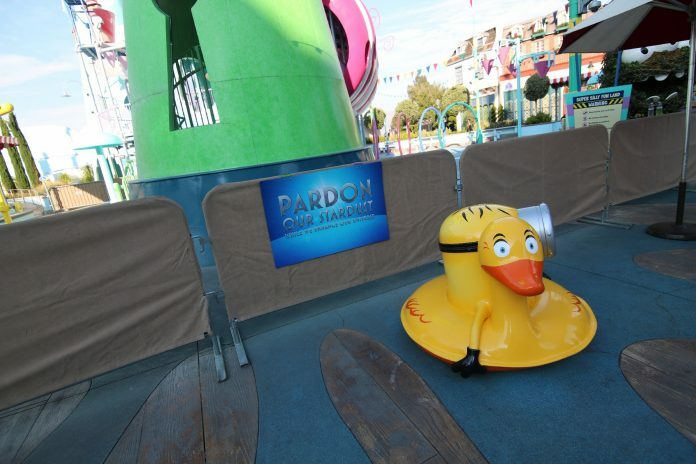 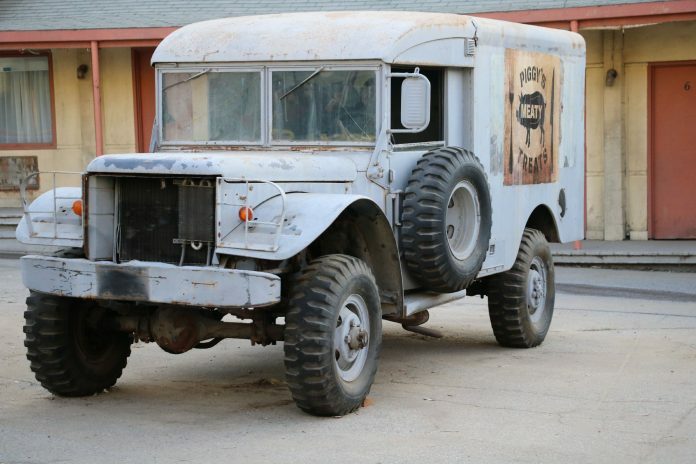 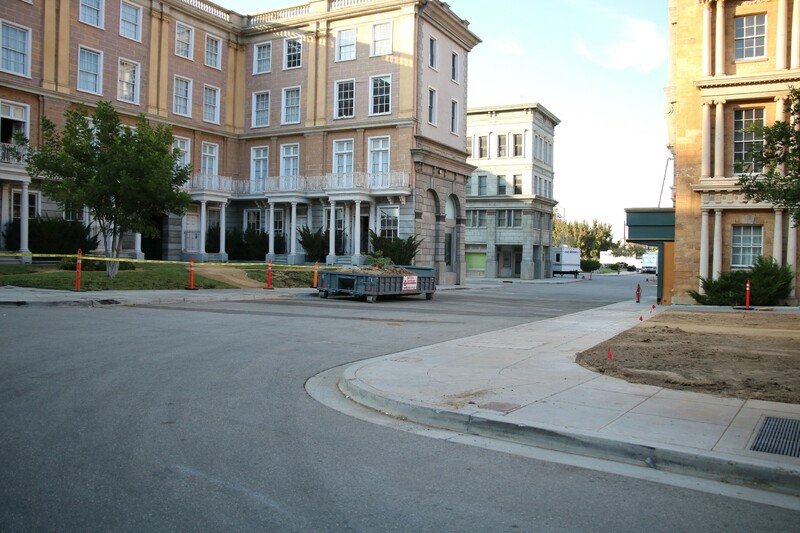 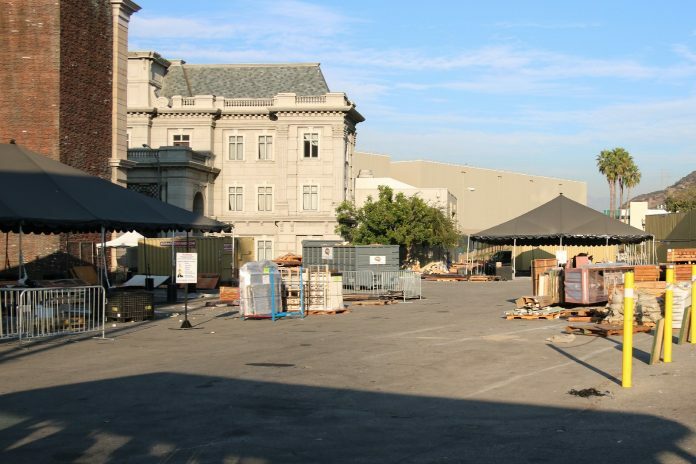 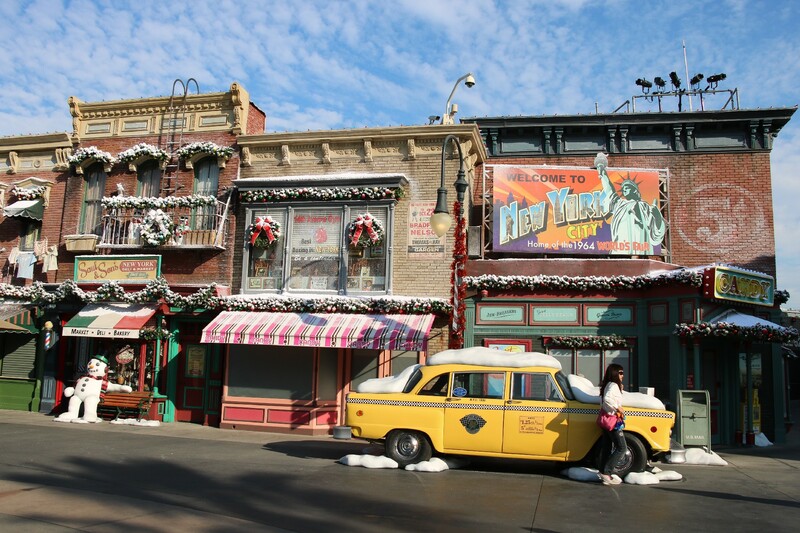 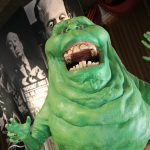 It’s time for November’s photo update around Universal Studios Hollywood! 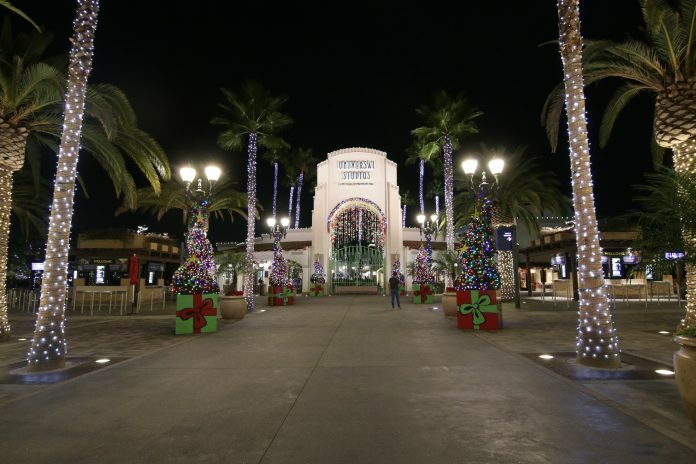 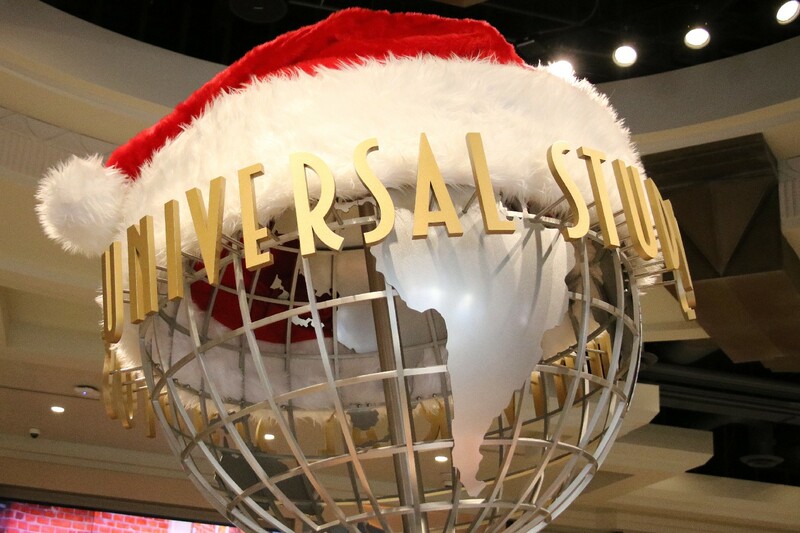 This month, we take a look at the progress of projects throughout the park, as well as a glance at the setup for the holiday season at Universal Studios Hollywood. 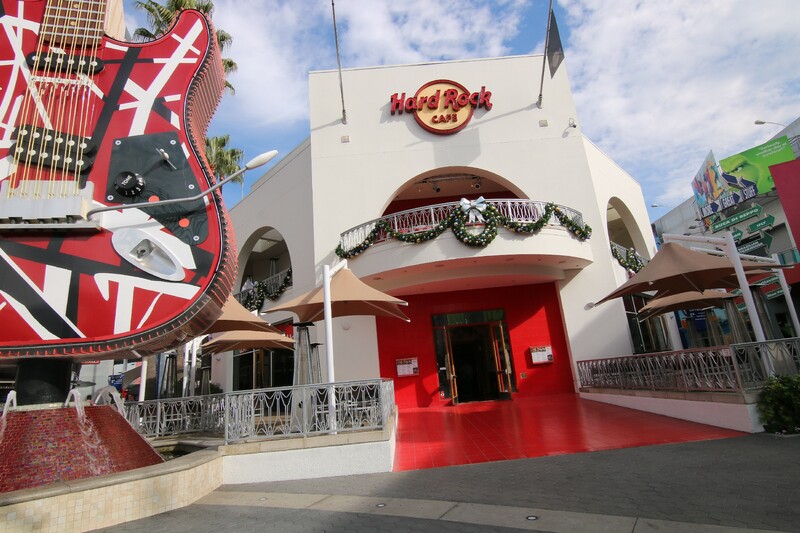 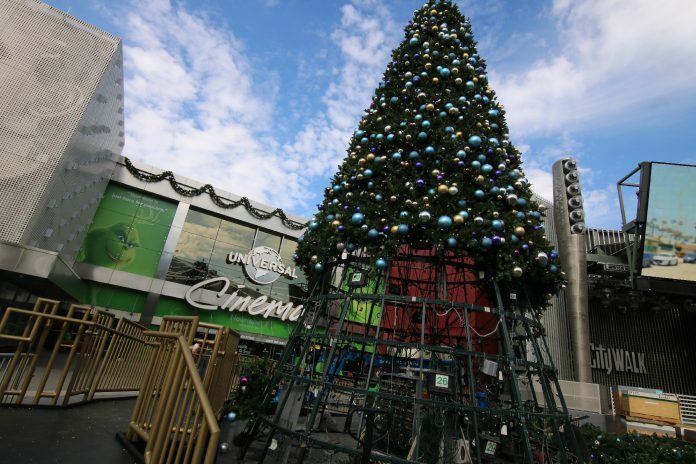 Christmas has taken over Universal CityWalk as decorations go up all around. 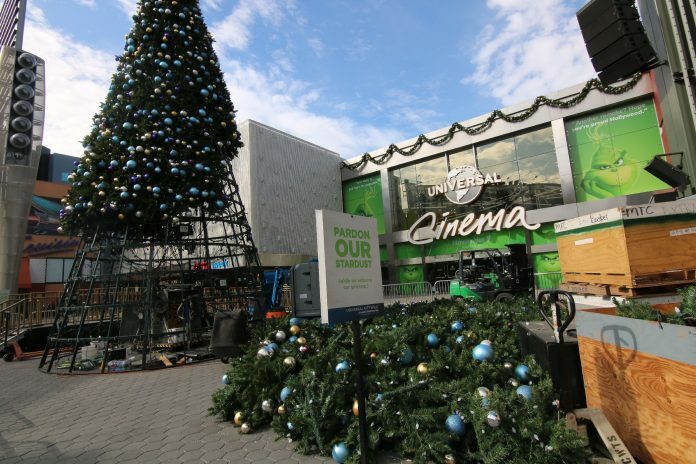 A giant Christmas tree has been set up just outside of the Universal Cinema decked in advertising for Illumination’s newest film, The Grinch. 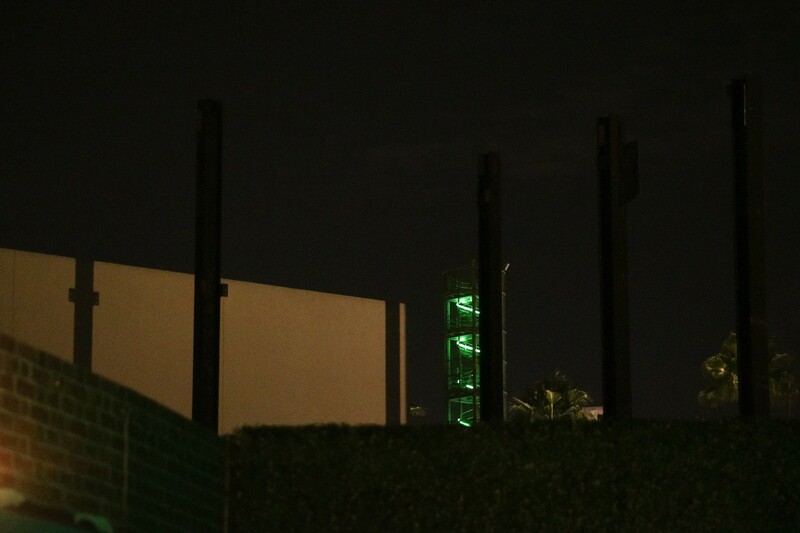 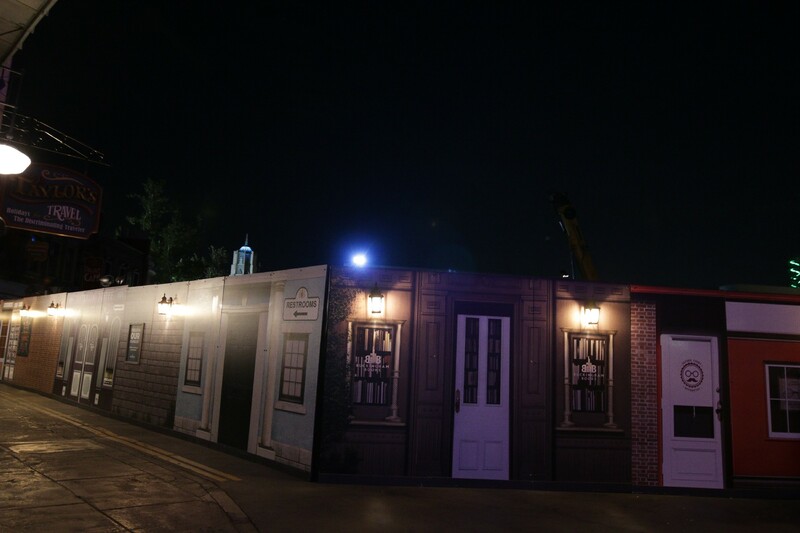 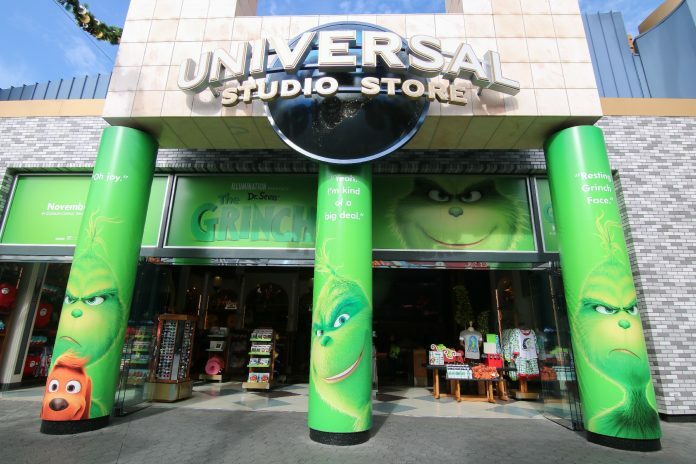 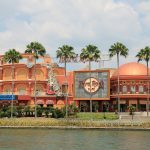 The Universal Studio Store has replaced its Halloween Horror Nights themed exterior in favor of Illumination’s The Grinch, matching the Universal Cinema just nearby. 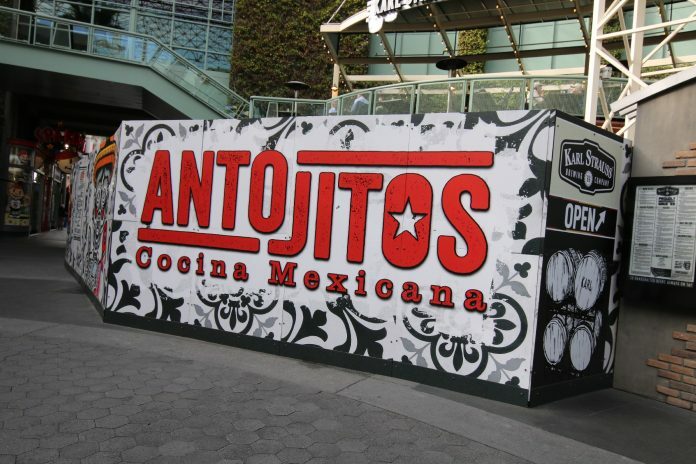 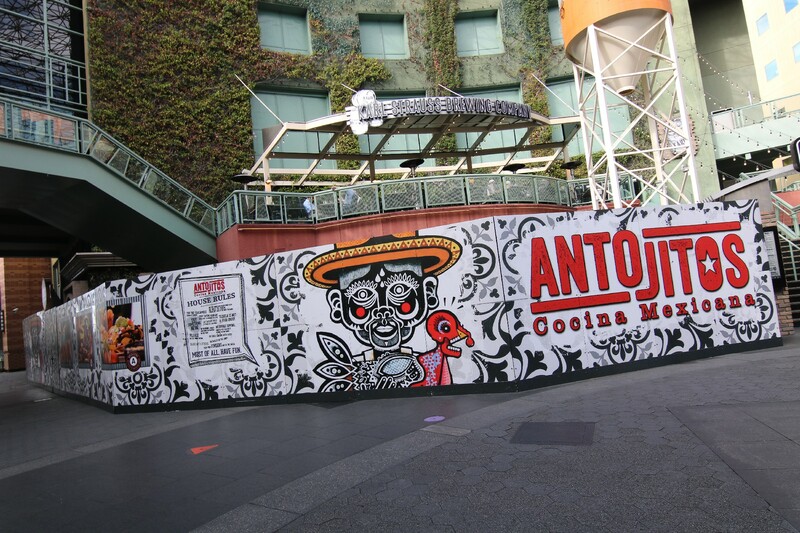 Construction continues at the future location of Antojitos, though through the public eye, not much has visibly changed. 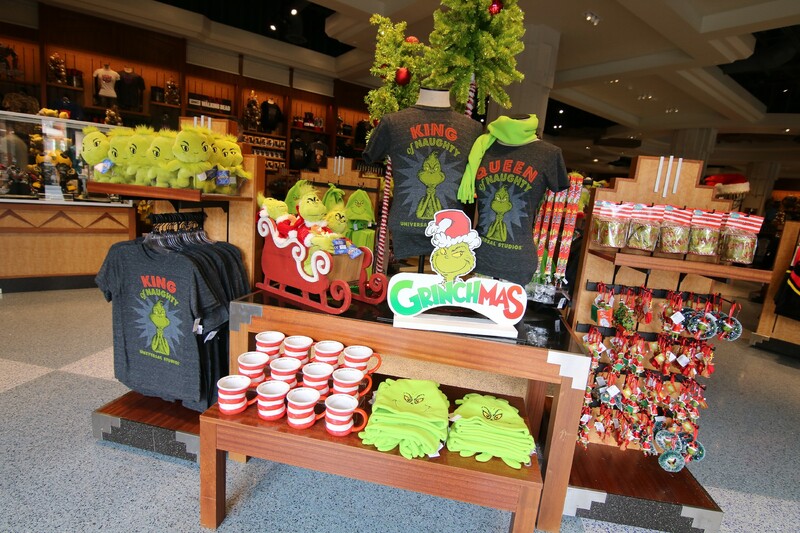 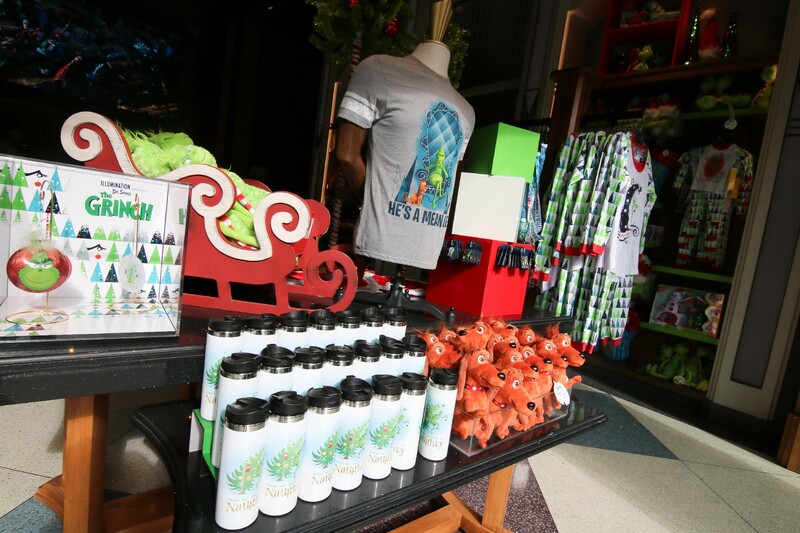 Merchandise for Illumination’s The Grinch lines the shelves of much of the Universal Studio Store in CityWalk, including, but not limited to, t-shirts, Christmas ornaments and stockings, and plushes of some of the animated characters. 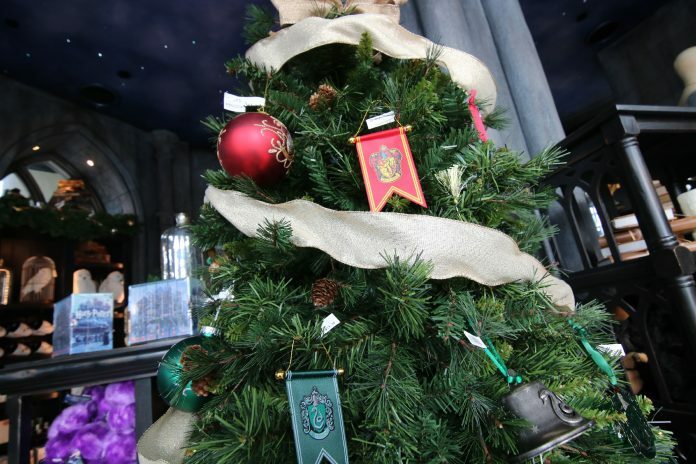 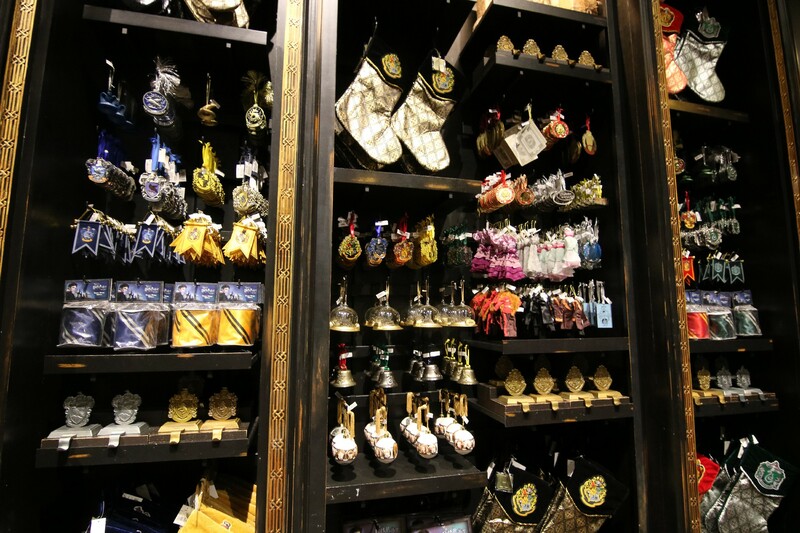 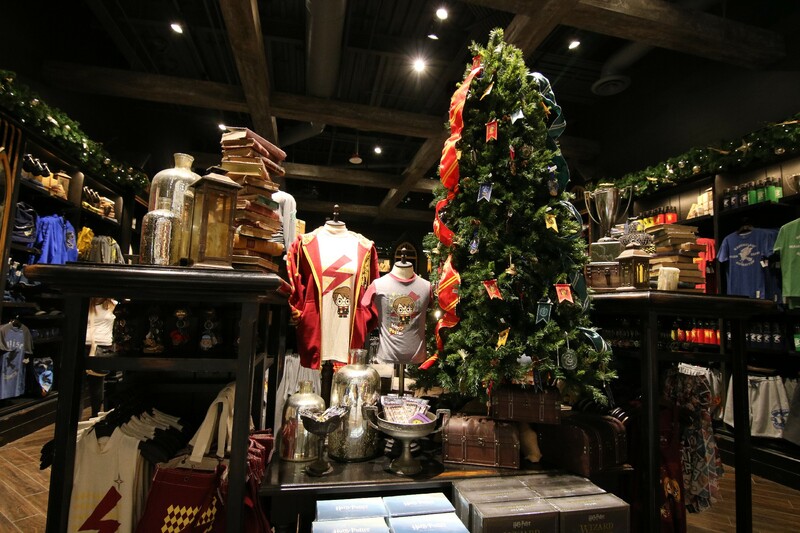 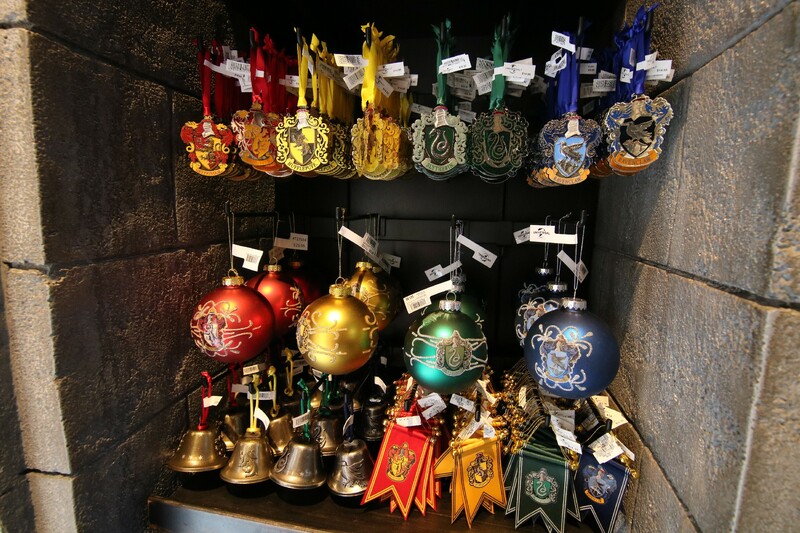 A variety of additional Harry Potter inspired Christmas decorations have also appeared in the Universal Studio Store in CityWalk, as well as Feature Presentation, the Universal Studio Store inside of the park, and throughout shops in the Wizarding World of Harry Potter.. 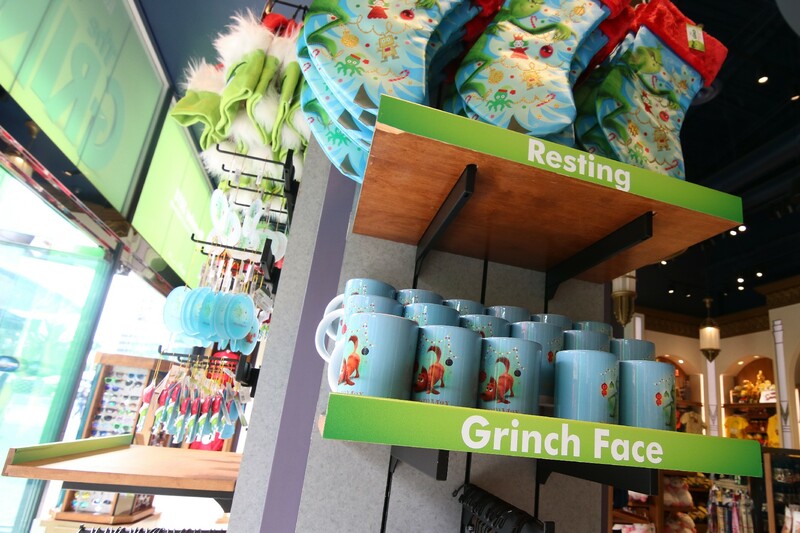 In addition, Grinchmas merchandise, based off of Ron Howard’s Dr. Seuss’ How the Grinch Stole Christmas, can now be found in the Universal Studio Store inside of the park. 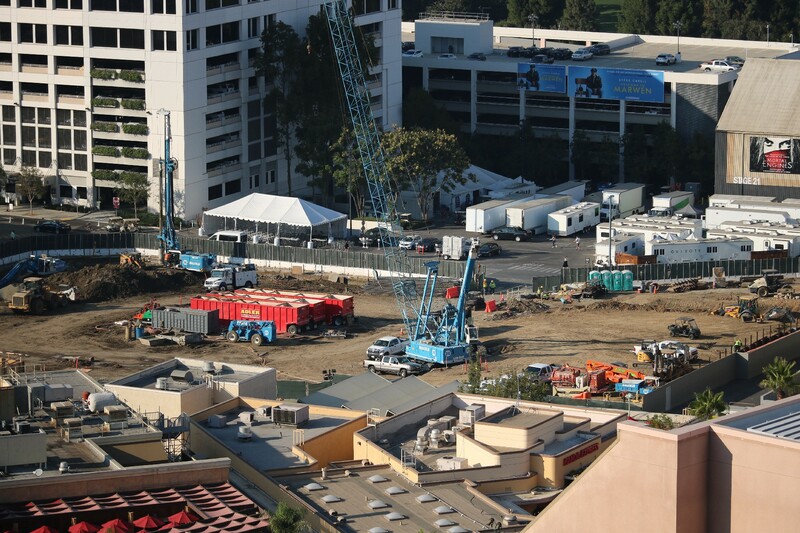 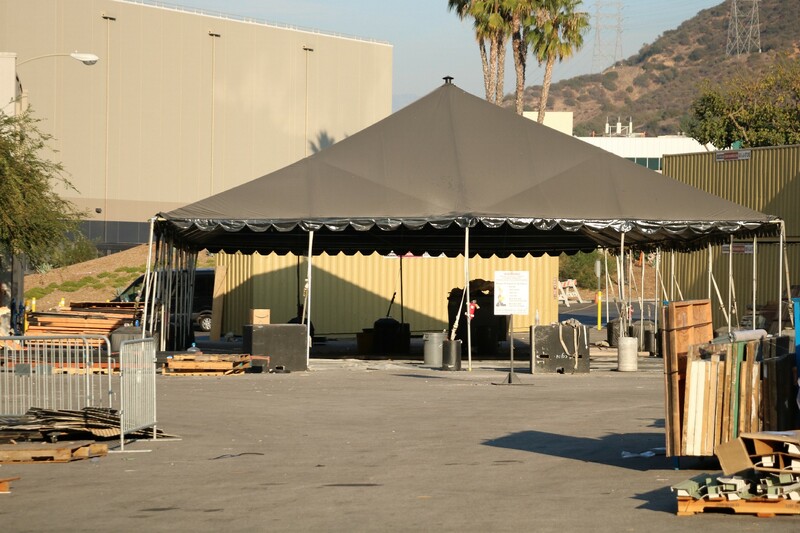 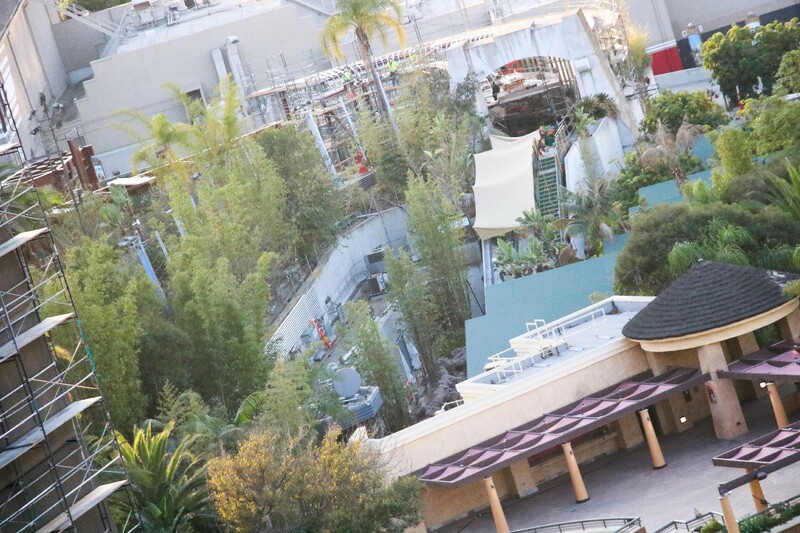 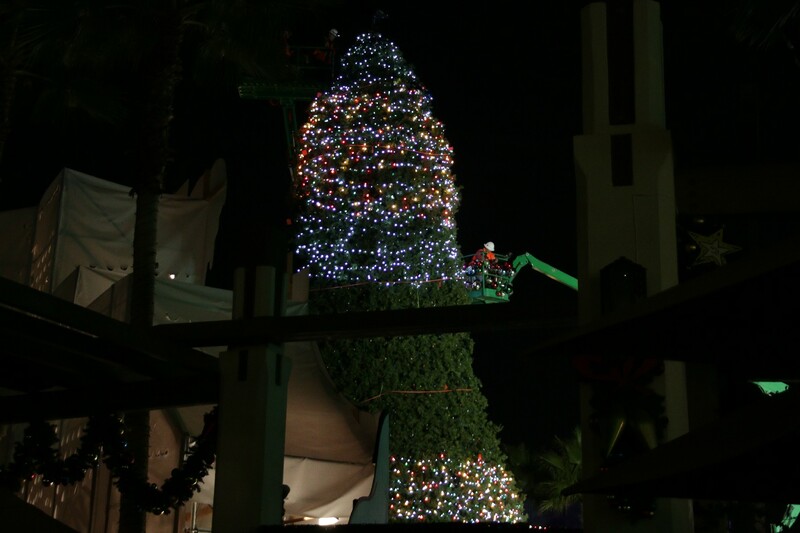 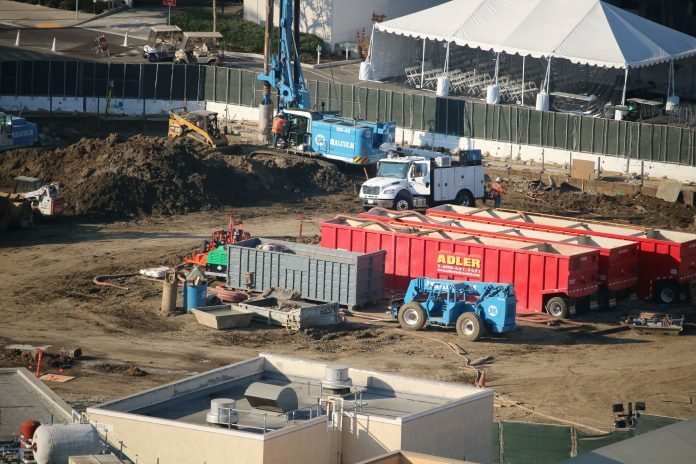 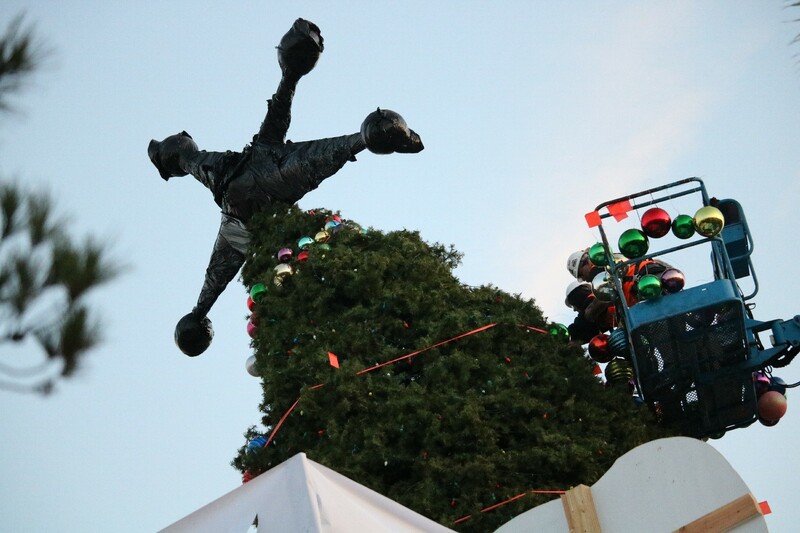 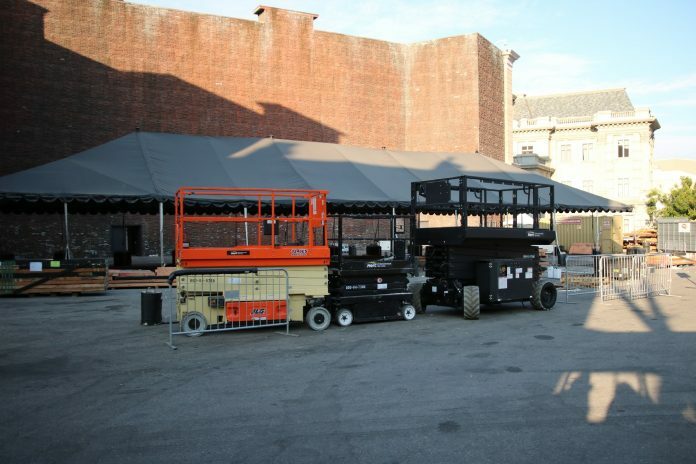 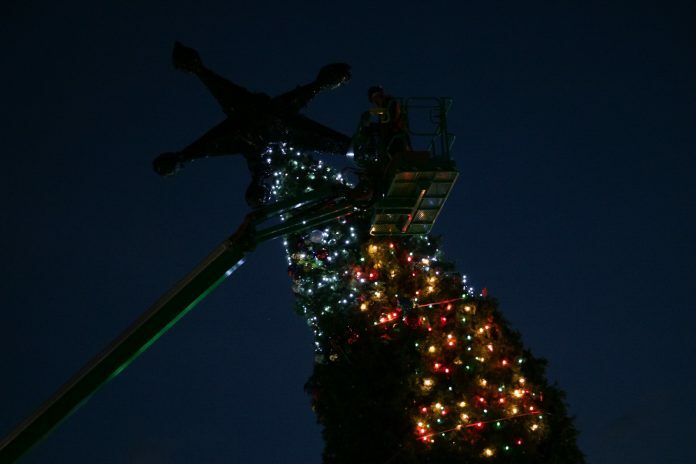 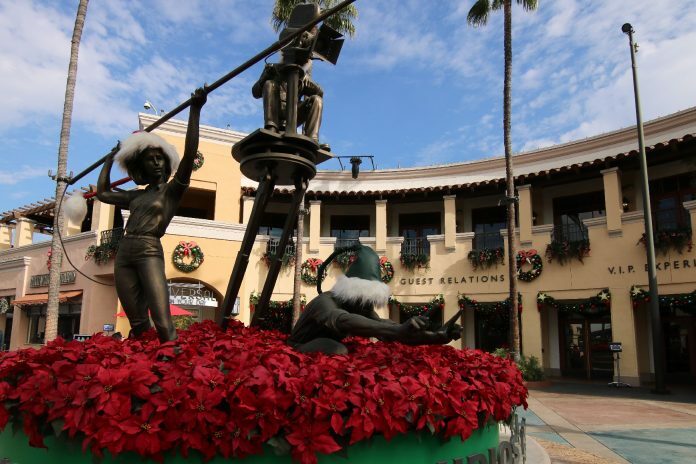 Construction has begun for this year’s Grinchmas event, including the trimming of the iconic Grinchmas tree. 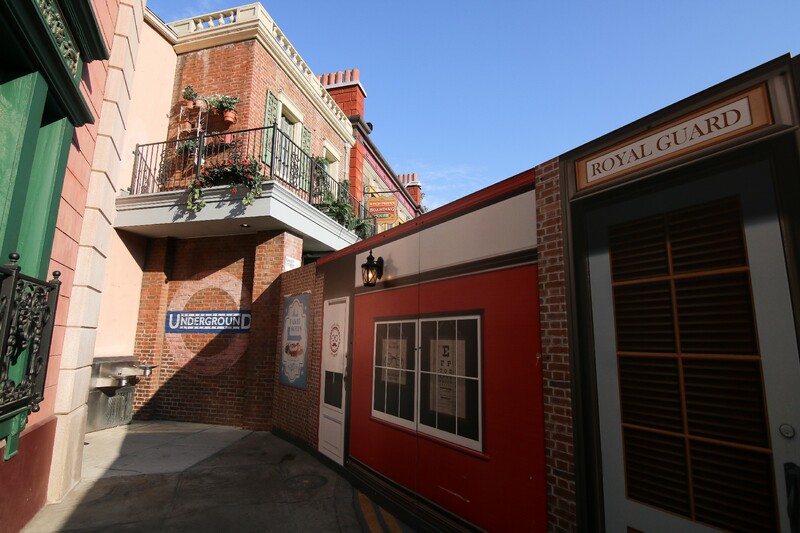 Though not much has visibly changed on Baker Street since our most recent update, work continues on the plot just beyond construction walls. 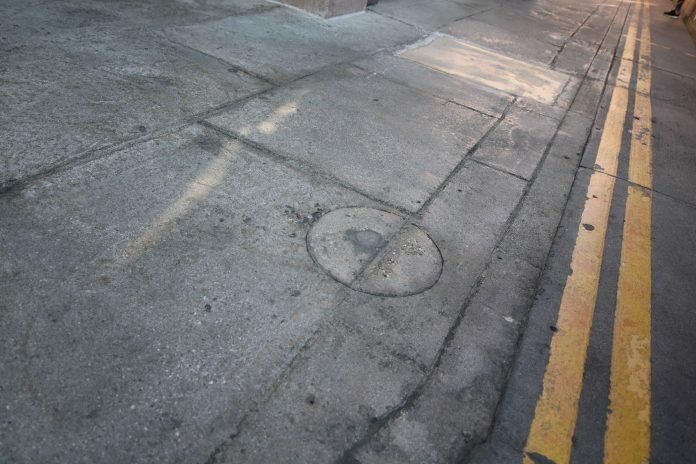 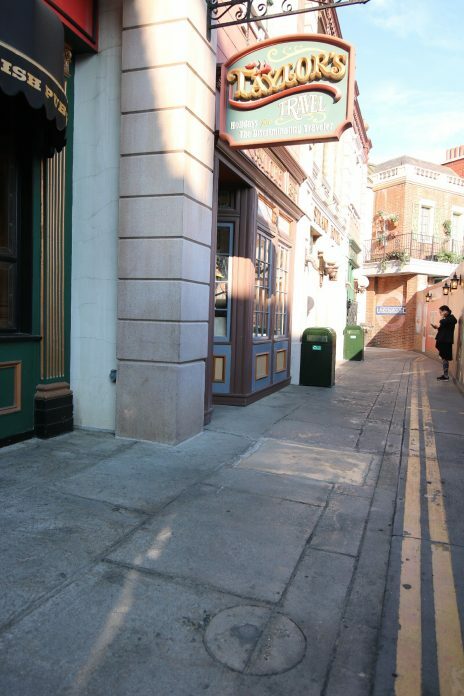 The street sign just in front of Despicable Me: Minion Mayhem distinguishing Baker Street from Minion Way has been removed, though on another note, Christmas lights have appeared on the corner of Baker Street near The Walking Dead Attraction. 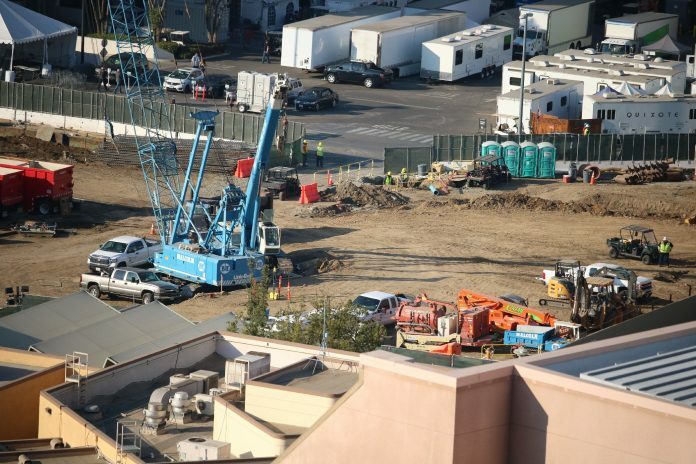 Construction on the former plot of the Globe Theater continues to go vertical with multiple beams appearing in the far back corner facing Despicable Me: Minion Mayhem. 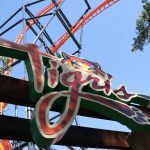 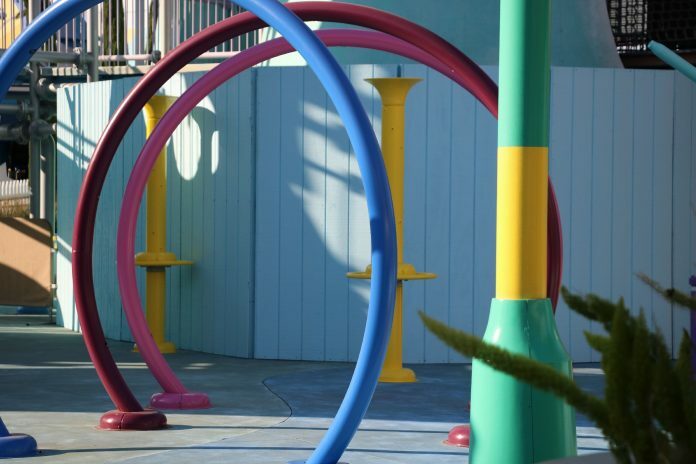 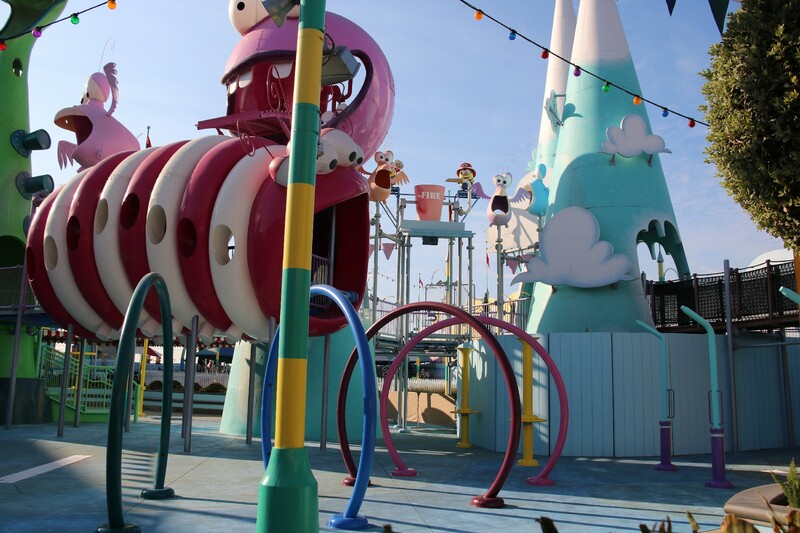 As the winter season approaches and the temperature continues to drop, Super Silly Fun Land has been closed, possibly for a future refurbishment. As Christmas decorations go up throughout the park, all signs of Halloween Horror Nights are gradually disappearing as mazes and decorations alike are being taken down. 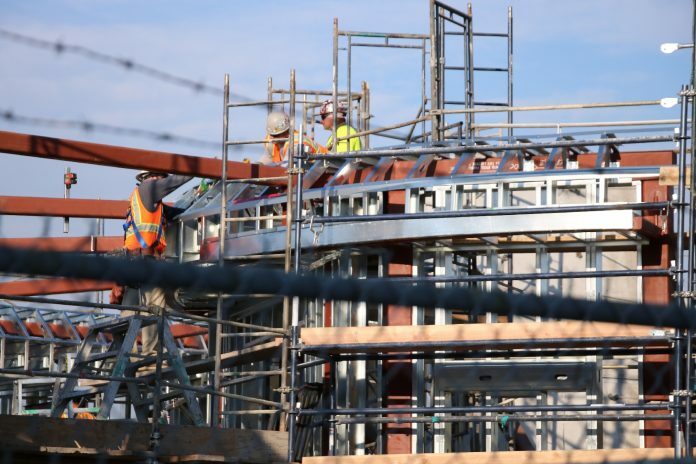 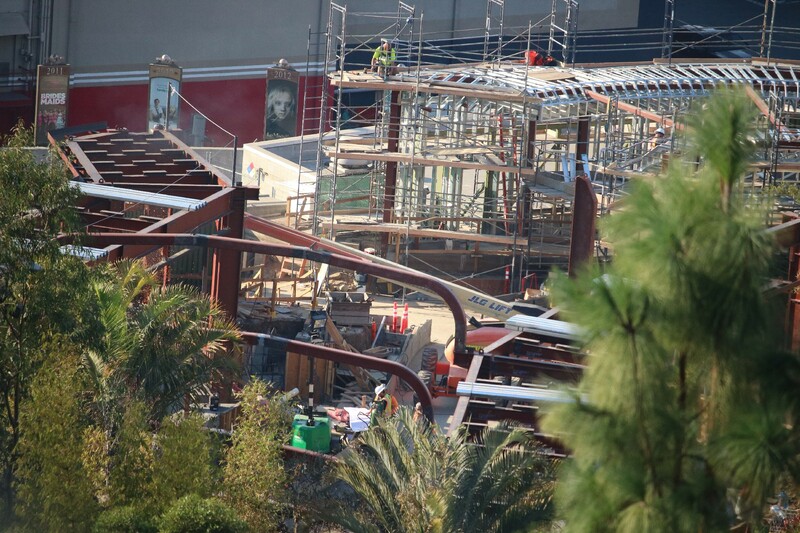 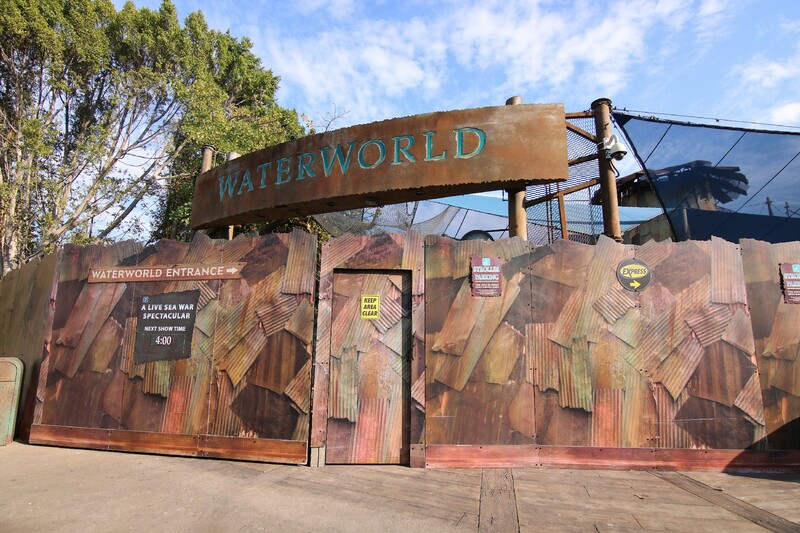 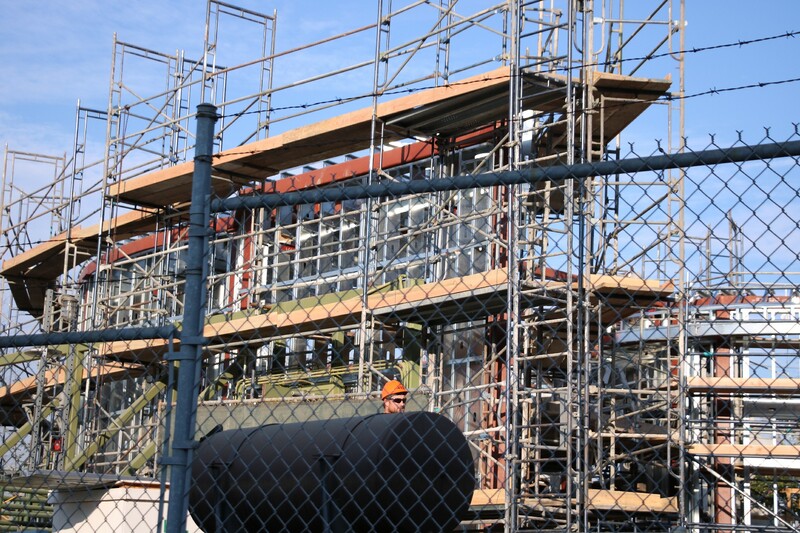 Speedy construction continues on the transformation of Jurassic Park: The Ride into Jurassic World. 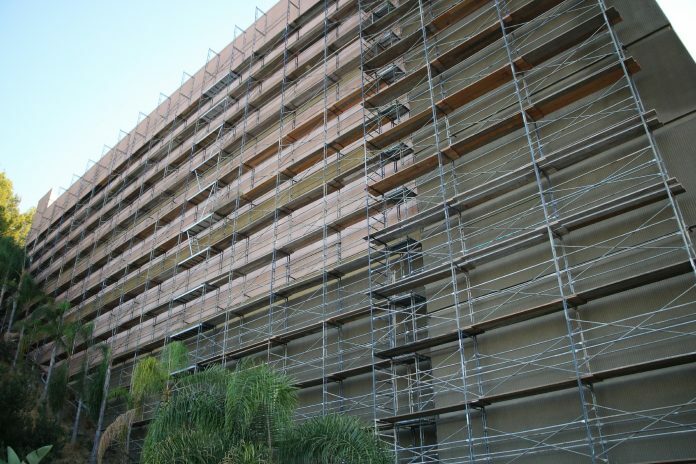 Scaffolding now completely engulfs the side of the main show building facing the Starway escalators in likely preparation of exterior work. 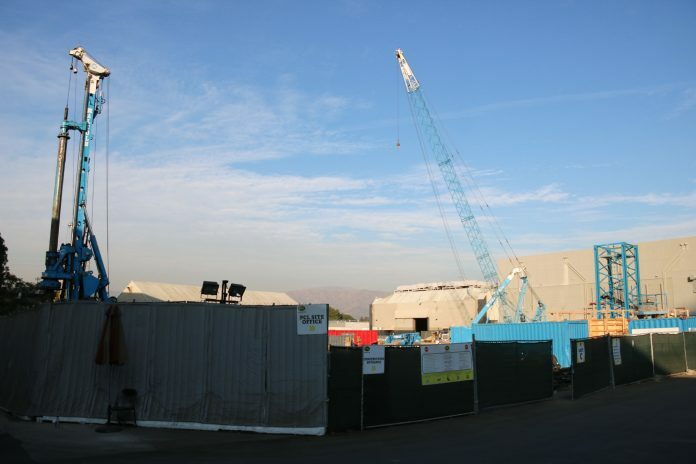 Towards the first lift of the ride, construction crews remain hard at work in creating what appears to be a new show building. 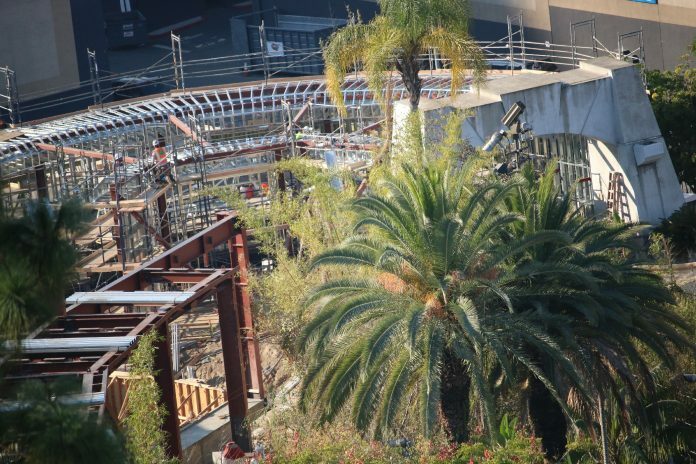 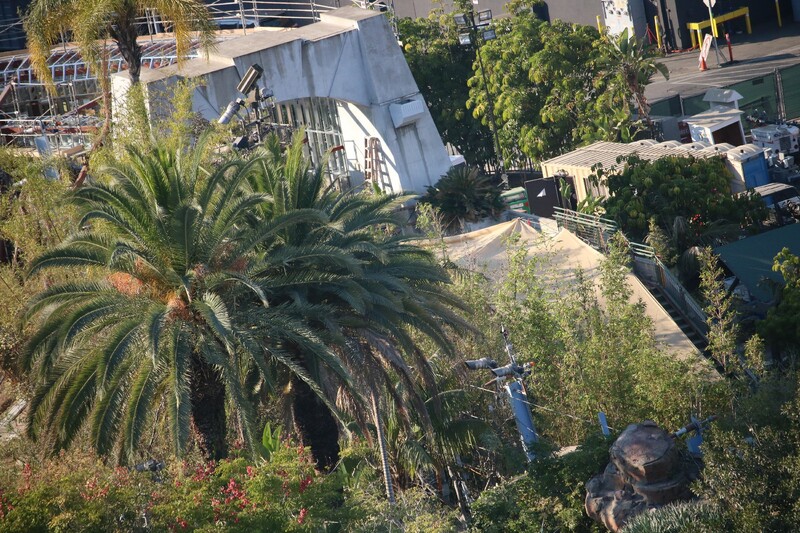 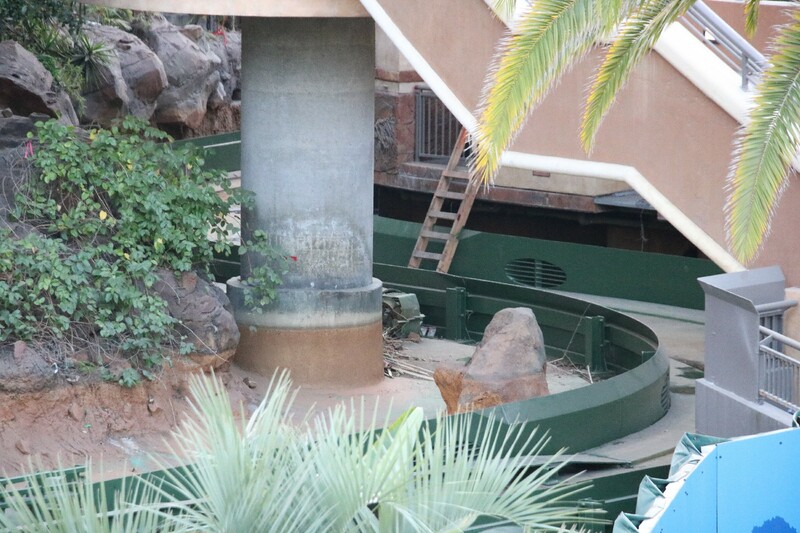 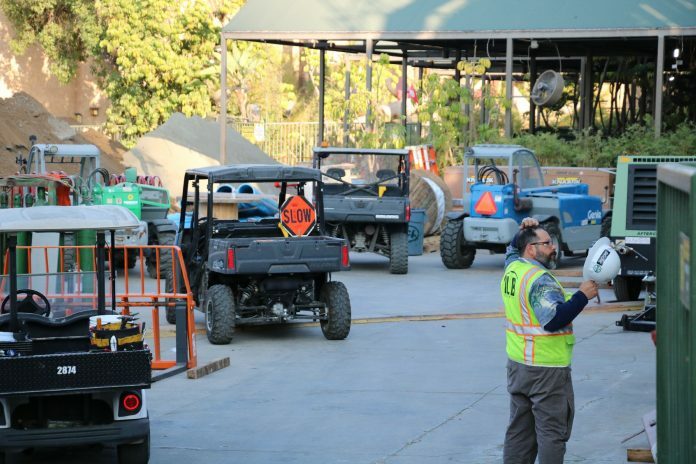 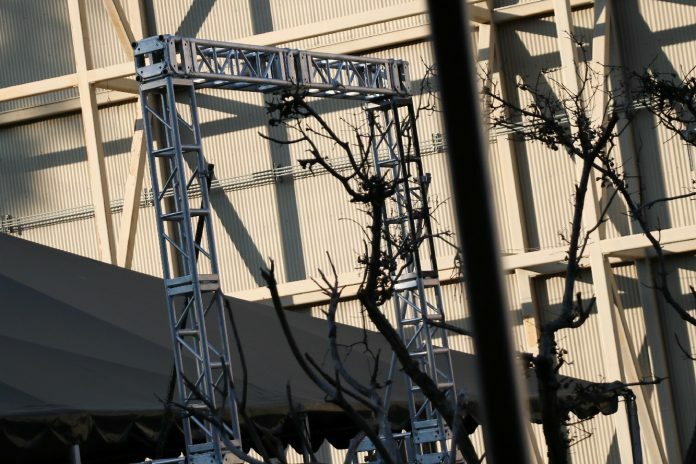 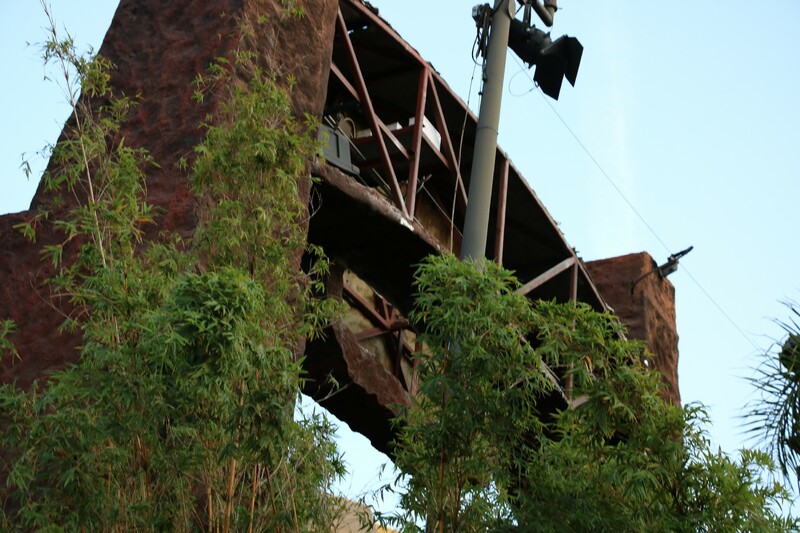 Parts of the back of the iconic Jurassic Park arch have also been removed. Meanwhile, not much has seems to have changed at the final splashdown location, or at the nearby Dino Play. 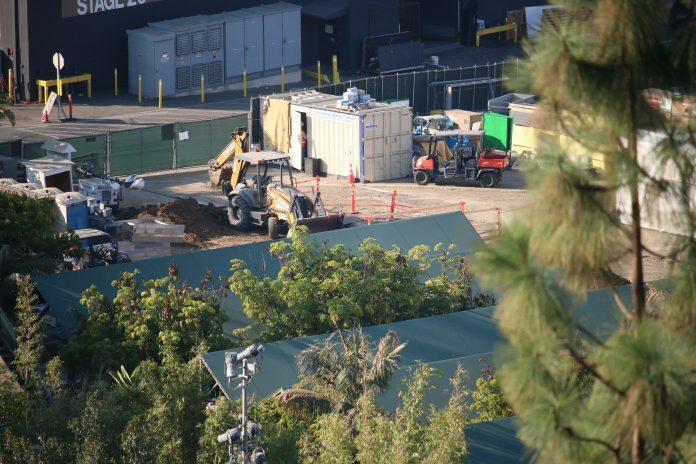 Additional construction vehicles have appeared on the busy yet unannounced P168 plot. 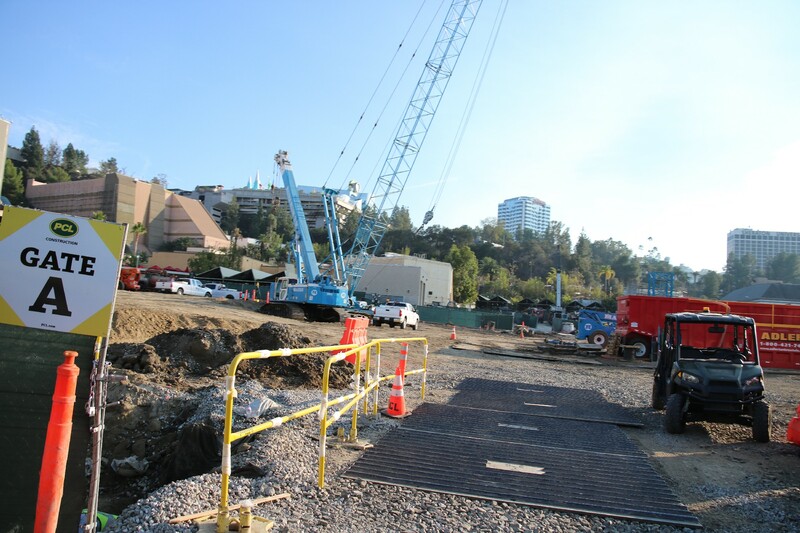 After ground was broken just before our most recent photo update, construction crews now appear to be leveling out the inclined land. 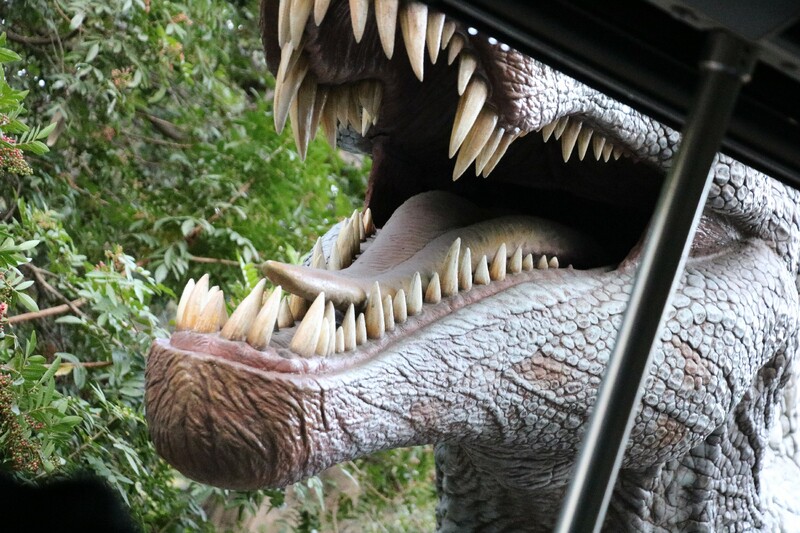 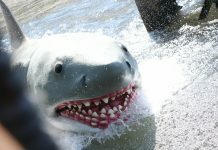 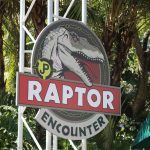 The Spinosaurus figure previously located just next to the final splashdown on Jurassic Park: The Ride has been moved to the Jurassic Park segment of the Studio Tour, alongside a few additional props and picture cars. 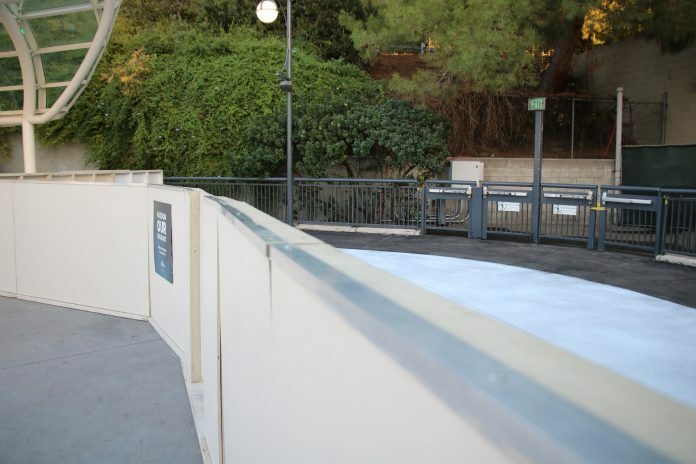 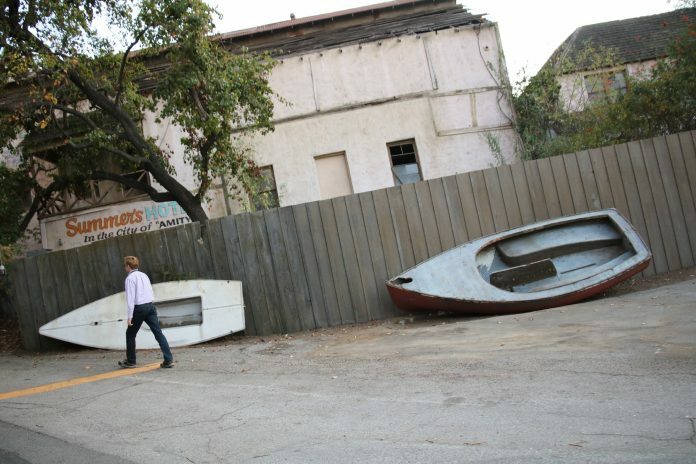 The fence outside of the Studio Tour’s entrance to the Jaws attraction now appears to be finished with its repairs, looking to be in its best shape in a long time. 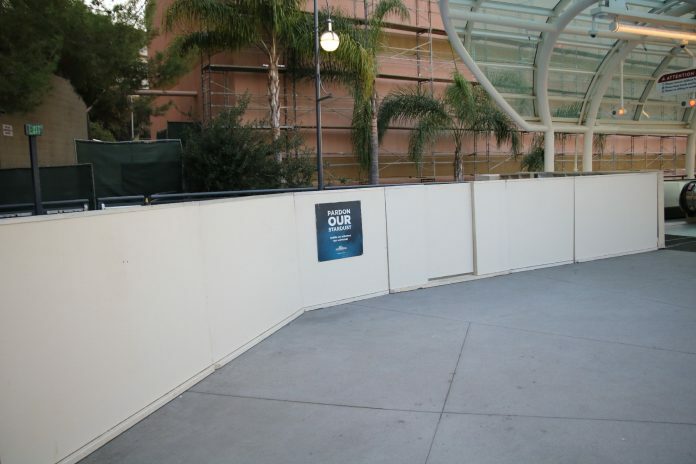 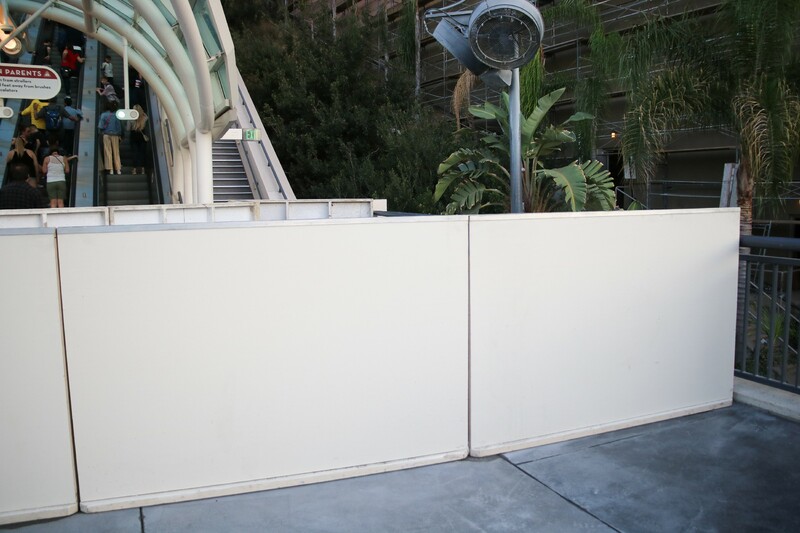 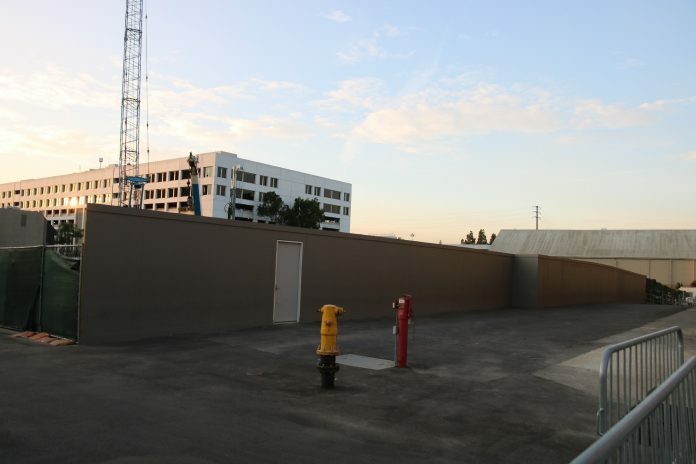 Following the removal of the snack stand located at the midway point of the Starway escalators, construction walls have gone up around its former location, as well as around two of the flights of stairs. 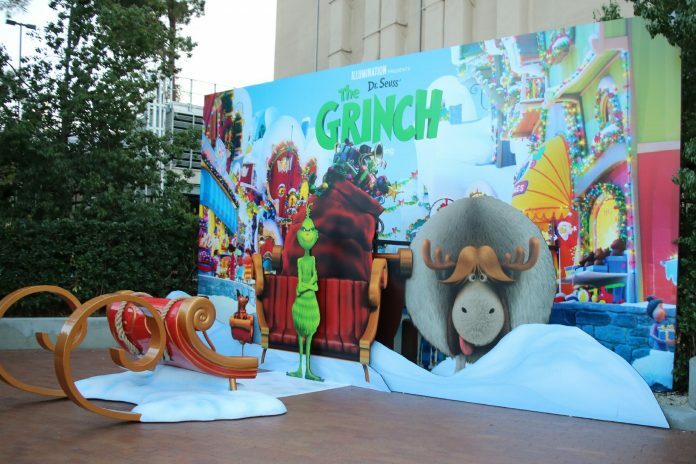 A new photo-op based off of Illumination’s The Grinch can now be found at the Studio Tour drop-off zone. 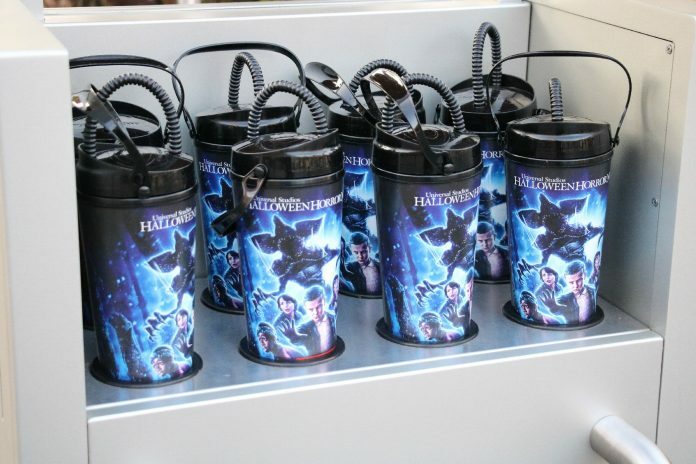 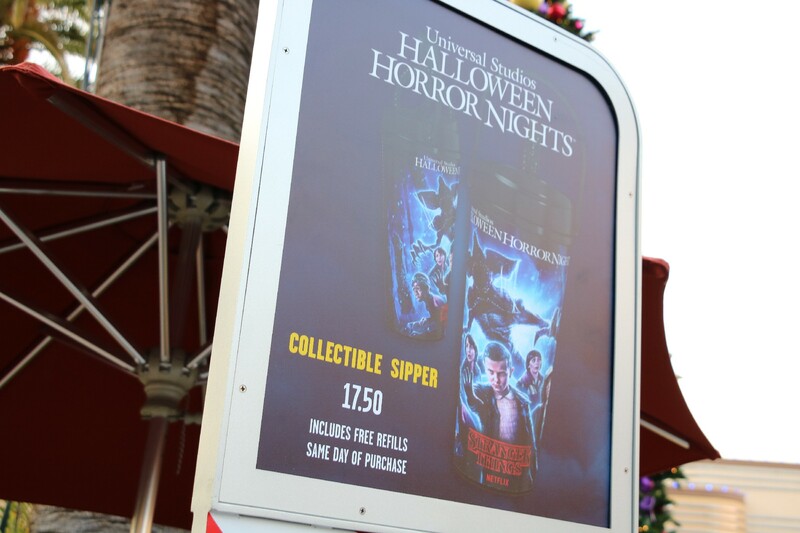 Halloween Horror Nights collectible sippers are still up for purchase at a stand on the Lower Lot near the Jurassic Park arch at the price of $17.50. 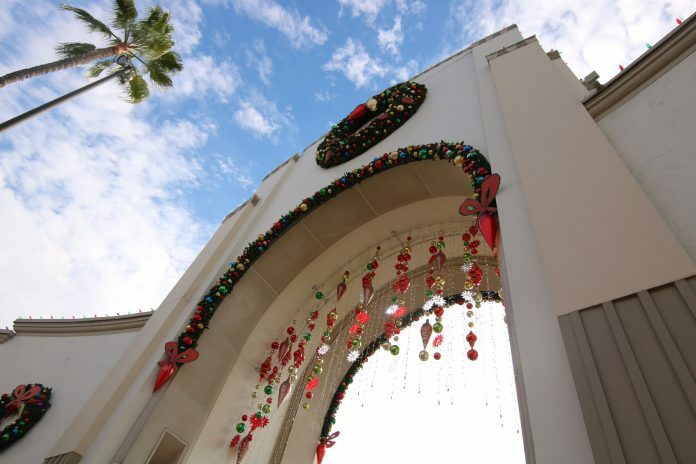 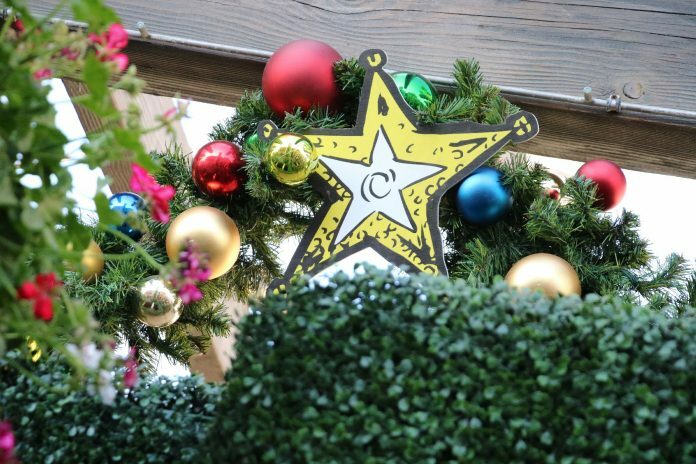 Christmas decorations now deck the park, successfully creating an atmosphere of holiday cheer all around. 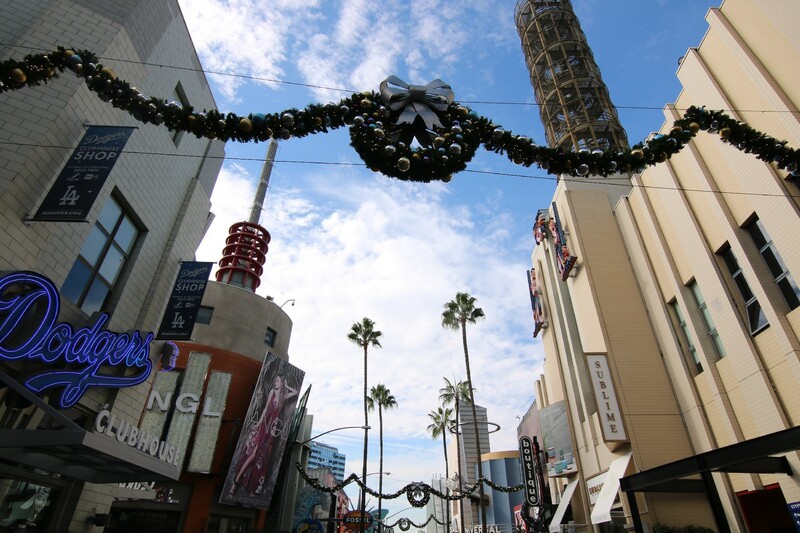 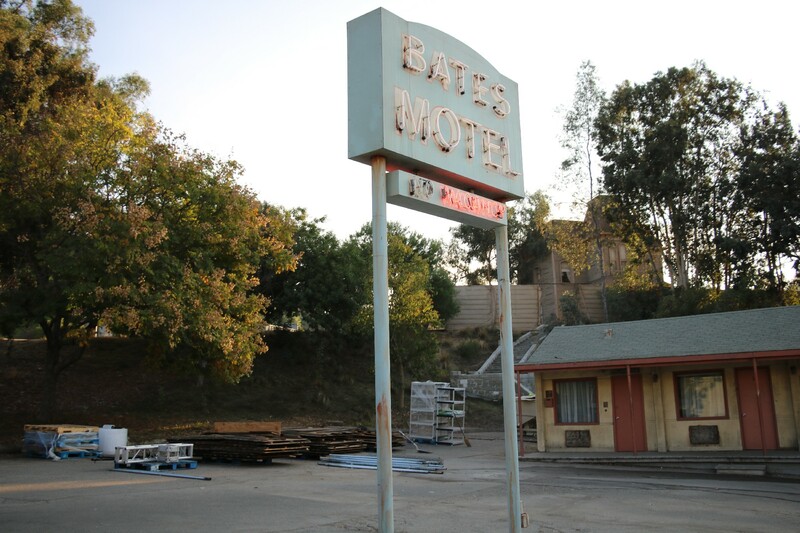 Next articleInside Universal Radio: Hollywood – 15. What’s a Thanksgiving?